I've now been blogging for just over two years and absolutely love it. It really has become a huge part of my life. 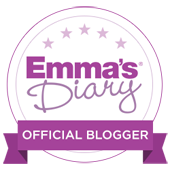 Exactly a year ago, I attended my first ever blogging conference to Blogtacular 2015, and while I enjoyed it, I did feel a little out of my depth with it all for some reason and I came home feeling a little more than deflated. 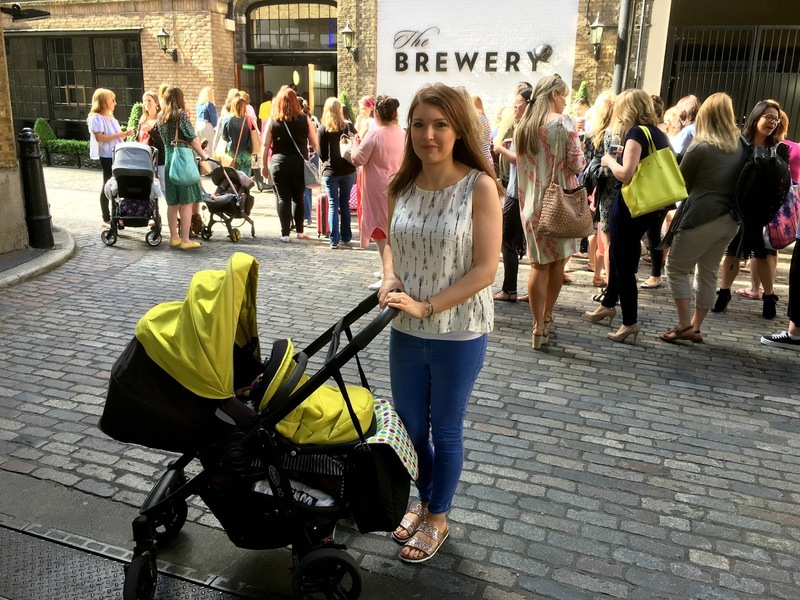 A week later, and Britmums was held is London, and after seeing and hearing all about it on social media, I wished I had booked a ticket for that, so of course, as soon as the early bird tickets went on sale for Britmums 2016, I jumped at the chance. 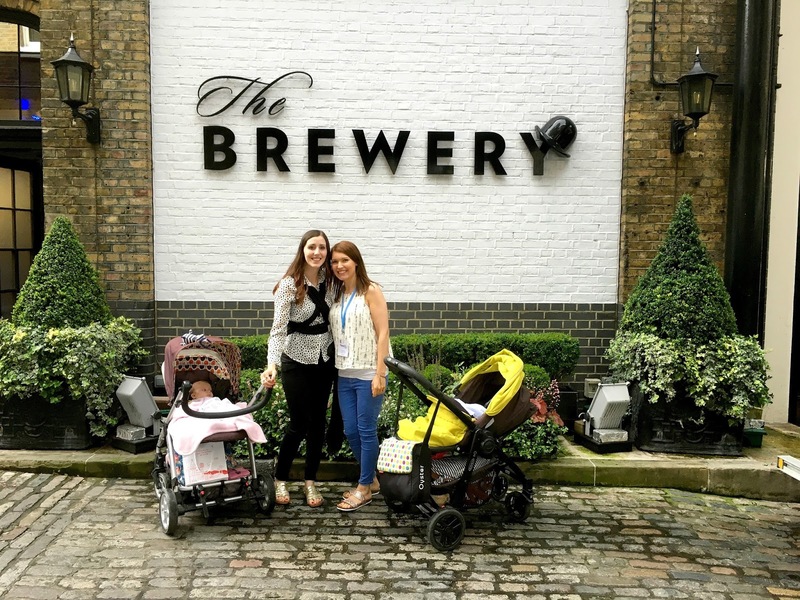 I had been so excited for weeks leading up to Britmums this year, not only because it was my first time attending the event, but also because I was really excited to catch up with blog friends and meet the other lovely bloggers who I have chatted to online but never met before. I was a bit apprehensive taking Little L down to the vent with me, but as he was still exclusively breastfed, then of course he was coming along too. So on Friday morning, I rushed around the house, trying to ram everything into a bag which would fit in the pram basket (babies really don't travel light at all). I had to include enough outfits for Little L in case of nappy disasters, sick, or wet/very hot weather, and then all my things too. Packed and ready to go, Mr F and LO dropped myself, Little L and my sister at the station in Bradford and off we went. My sister came with us for the weekend as we had plans to meet with our two other siblings at my sister' apartment in London, and to also help me with Little L. Thank goodness she came too, I really couldn't have done it without her! Train journeys can be seriously stressful at the best of times, but being on a three and a half hour journey on a train with no air conditioning, and having to out the pram at the opposite end of the train in the luggage rack, made it more than tricky. After a nappy explosion on my clothes and we'd had just about enough of that train journey! On the Friday night, we arranged to go to my sister's gorgeous Islington apartment where we enjoyed dinner together. It was so nice to be with my 3 siblings, as well as their other halves, all at the same time- the first time in 18 months. We ate a delicious meal and enjoyed a few drinkies before bed. 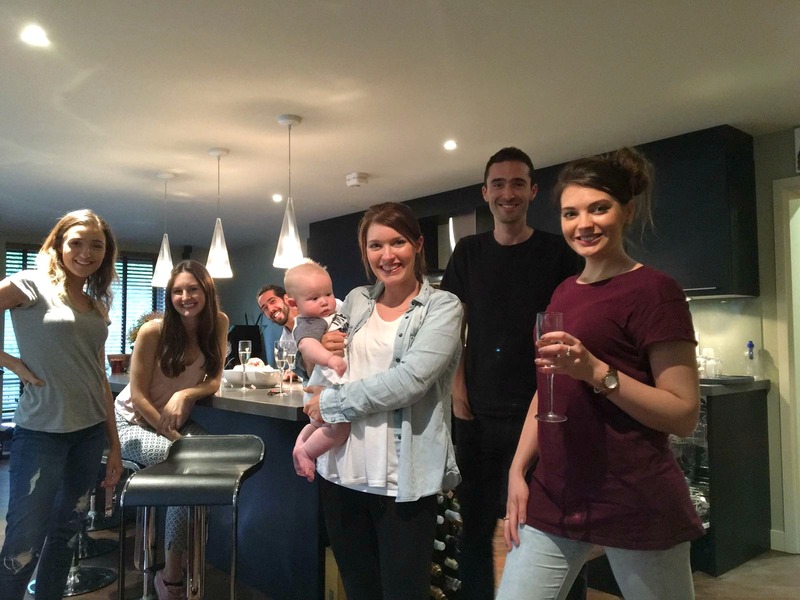 Myself, Little L and my gorgeous siblings at my sister's apartment where we stayed on Friday night. 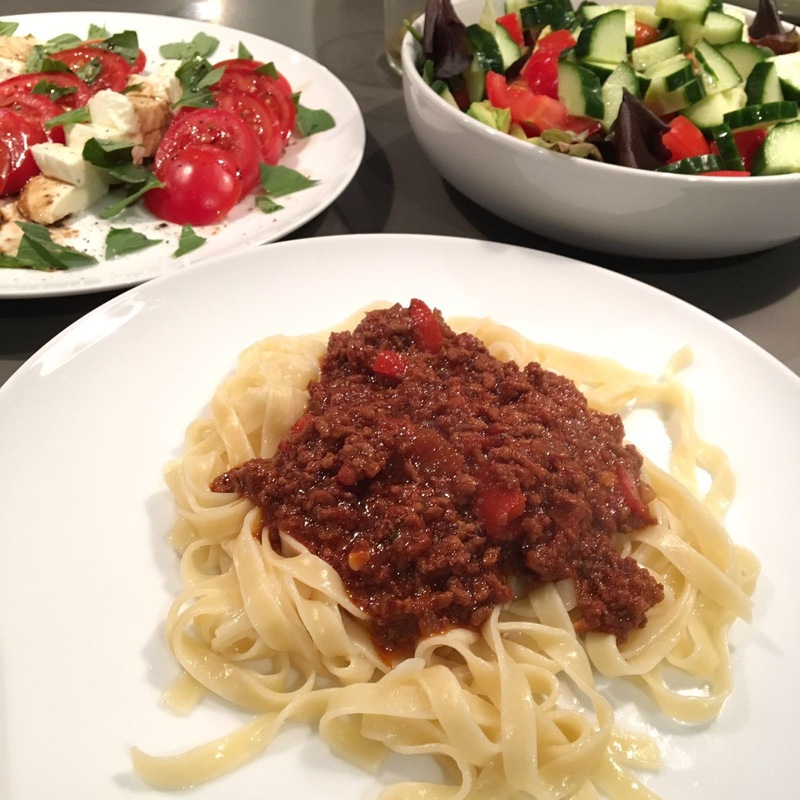 She cooked us the most delicious dinner and it was just the best evening ever- good food, great company, lots of banter and plenty of laughs. Oh and a glass or two of fizz. 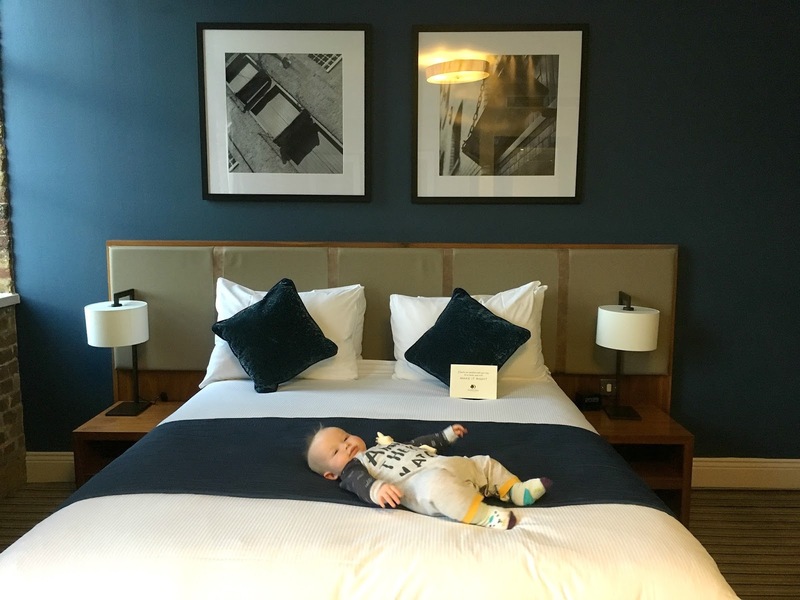 I didn't sleep well as I was sharing my bed with Little L and felt pretty nervous about waking up in time for Britmums, but luckily we were up and out by about 8:30. 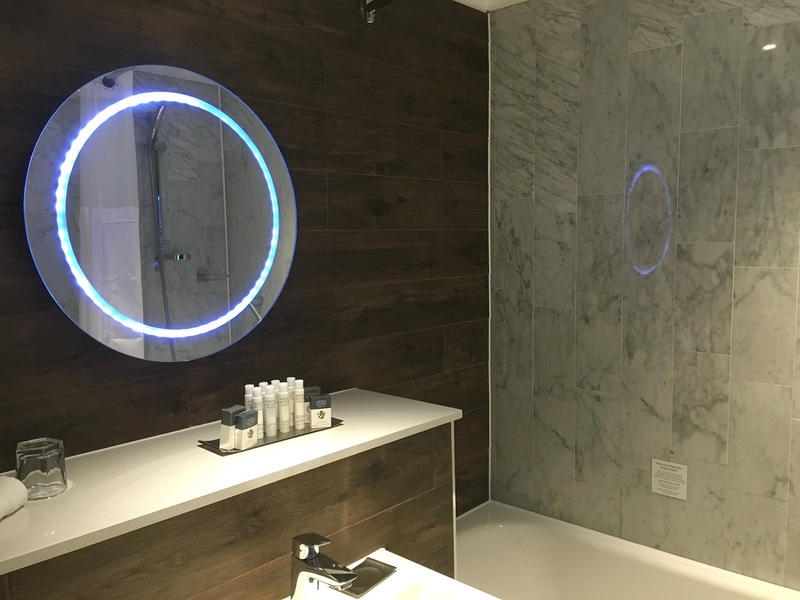 As soon as I arrived I felt really nervous and although I did spot a few well known bloggers, I wasn't quite confident enough to go and say hello, instead just waving as I walked past. I met my lovely friend Natalie from Little Jam Pot Life and together with our babies, we headed in. I wasn't sure what to wear as the weather is so up and down at the moment. I opted for some jeans from Topshop (these are the new Joni style ankle grazers) together with a new top from H&M with arrows on it. It's breastfeeding friendly because you can just lift it up as the back is split too. I paired my outfit with these glittery sandals from Office. We found it was quite hard to navigate The Brewery with our prams, but in between going out to the tropical island themed hub to feed and change the babies constantly and chatting to some of my favourite bloggers, it meant that I didn't manage to get to any of the sessions, bar one, which I was a bit disappointed about as I was hoping to come back full of new ideas, tips and inspiration. I just think there was too much to cram into one day, especially when it took so long to get around to the sessions with a pram. Using a sling or baby carrier would have been easier but it would also have been incredibly tiring carrying Little L all day, and he most definitely enjoyed having a few snoozes throughout the day in his pram. 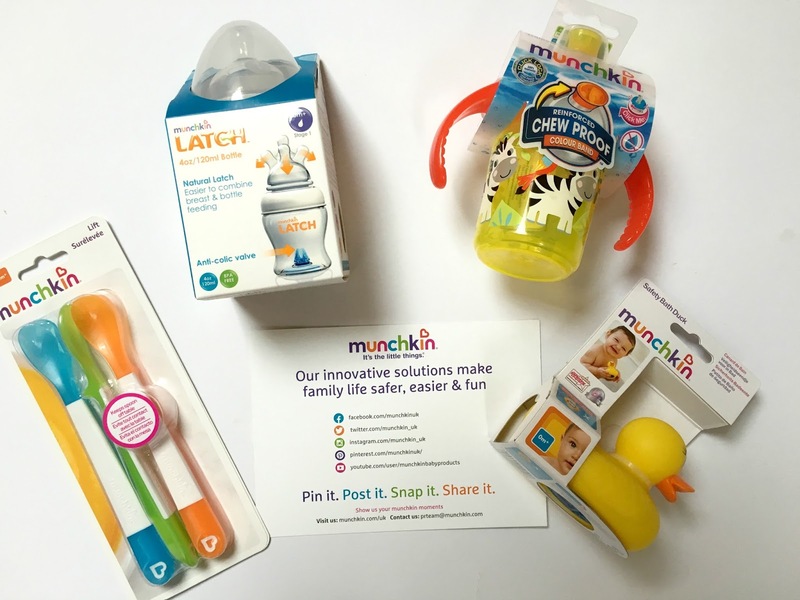 It was really interesting to be able to chat with a few brands and I particularly liked chatting to the ladies at Munchkin, who were really friendly and gave me lots of information about their fab products. I was seriously impressed with the goodie bag they gave me too! Natalie and I spent most of the day together with baby E and Little L, which was really nice and it was so good to have a proper catch up. We also spent some of the day with the lovely Laura from Little Ladies Big World, who we met with for the first time at Britmums. 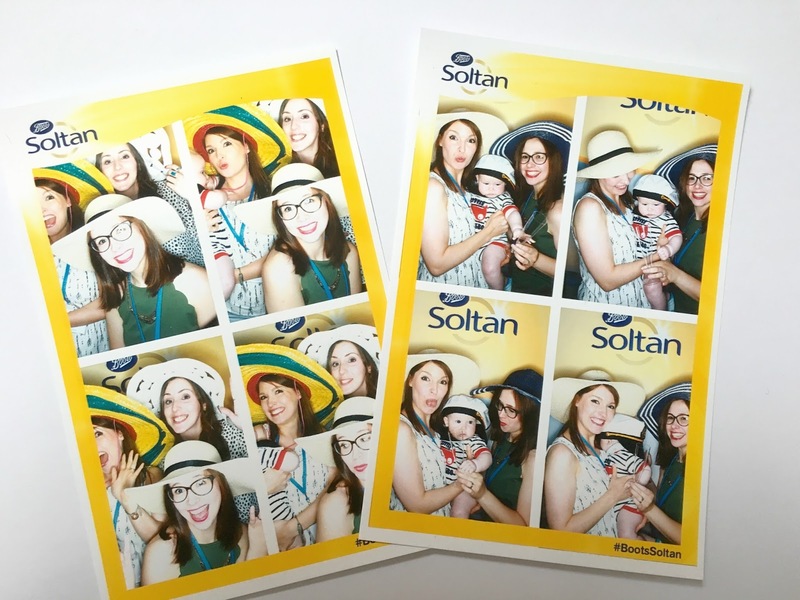 We wandered around the venue and had some lunch there (I think if I went again I'd go out for lunch as I don't like eating standing up or wandering around) and then headed over to the Boots Soltan stand to have a chat about their fab sun protection products and pose for photos in their Photo Booth. 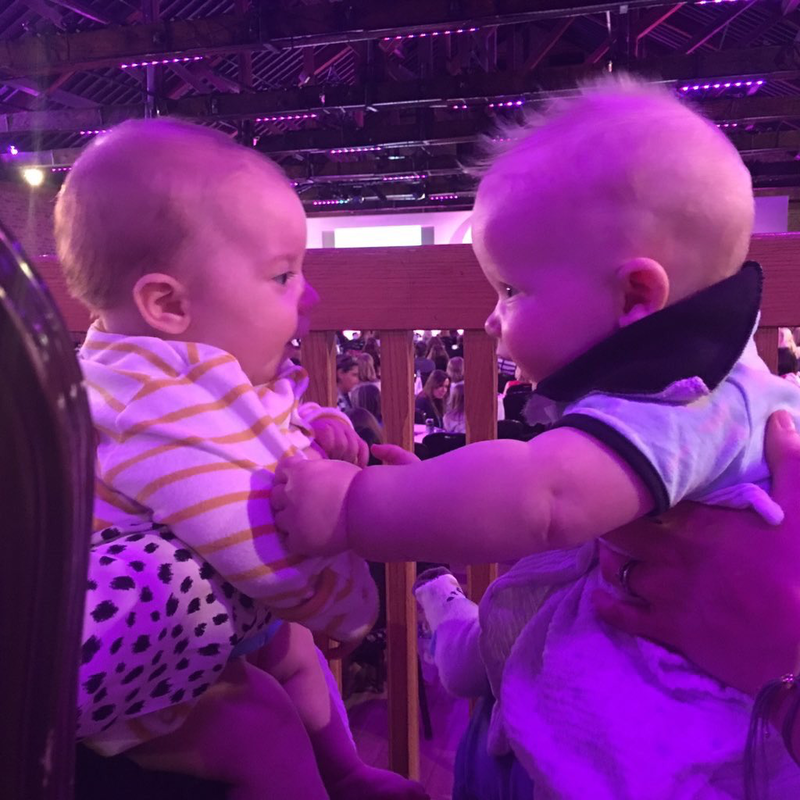 Thank you to Sophie from Mumology who took this adorable photo of baby E and Little L.
I spent much of the day wondering about what time to leave as I was meeting up with my sister at the end of the day again, and couldn't decide whether or not to stay for the party and BiBs awards ceremony. I felt quite anxious about the party and then after coming out of the toilets after changing Little L, there was a huge thunderstorm and the party wasn't going on outside. I hadn't realised it was going on upstairs and so decided to wait downstairs for my sister. In retrospect, I wish I'd plucked up the courage to just head upstairs and face my anxiety to go and find someone to sit with or chat to, but this is an issue I've had since school and something I want to get better at. If I go next year I'd love to attend the awards as well as it did sound like a lot of fun. 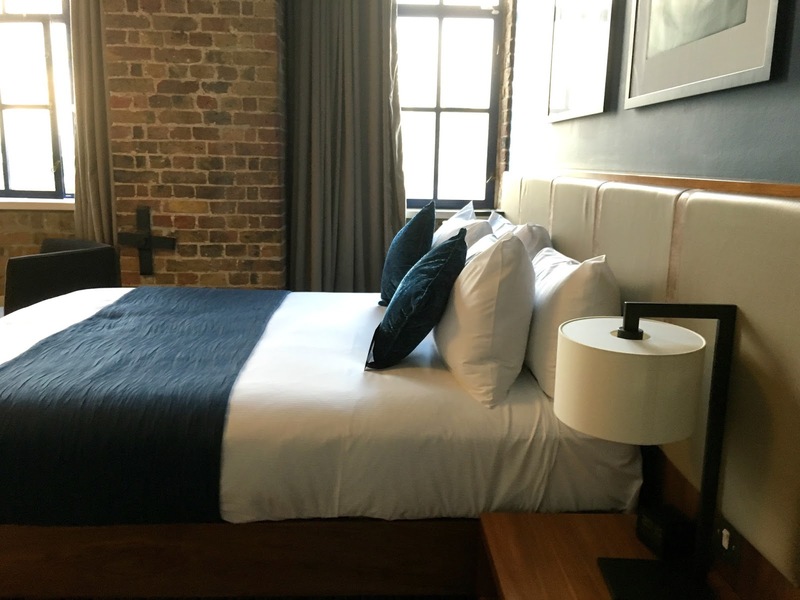 After Little L and I left, we headed over to our hotel which was the DoubleTree by Hilton on London's Docklands Riverside. It was in a really stunning location and our room was so nice. We were so exhausted after a long and busy day and Little L most definitely enjoyed having a little roll about on the huge bed. We finally headed off for dinner, crossing on the ferry to Canary Wharf at around 8:50pm. 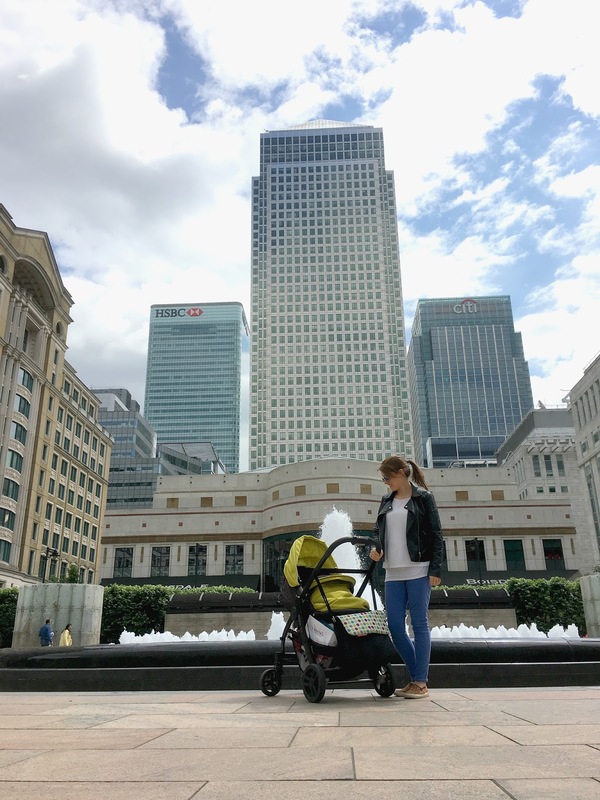 We got a bit most walking around the famous financial district trying to find Pizza Express, but eventually located it in the shopping mall beneath the famous 1 Canada Square building. Even though we were shattered, we had a great evening together, giggling that we were pretty much the only people in the restaurant and laughing at Snapchat filters. My sister is so hilarious and such a fantastic auntie to both her nephews and while I may not have had a sponsor to get me to Britmums this year, I was so incredibly lucky that my sister enabled me to go. She was so incredibly fantastic and helpful all weekend and I couldn't have done it without her. Awww it sounds like you had a good time mostly. I can imagine something like that being difficult with a buggy yet you'd expect a mum related event to be child friendly! I'm always in awe of anyone who takes babies to conferences I know I wouldn't have managed, as I'd have been too distracted. But great that you managed to catch up with your sisters. Was very lovely to meet you... Even if only very briefly! It was a fab day, wasn't it?! So in awe of all of you who took babies... It's a whole different ball game! It's great that you were able to get by with a little help from your sister.